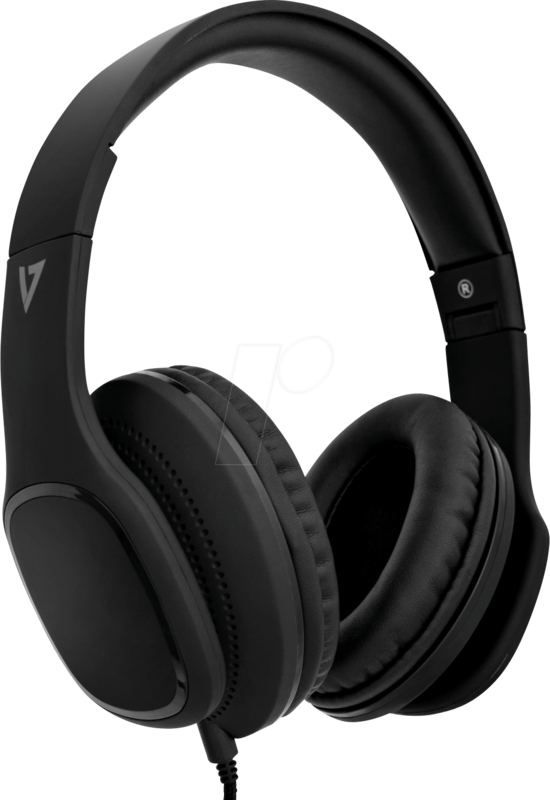 The HA301-3EP over-ear headphones with V7 microphone feature an adjustable headband and soft ear cushions for hours of comfort. 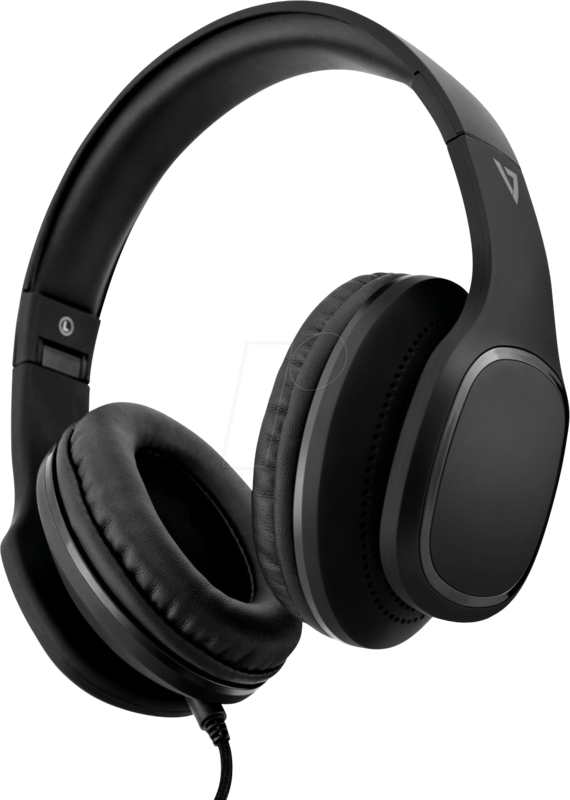 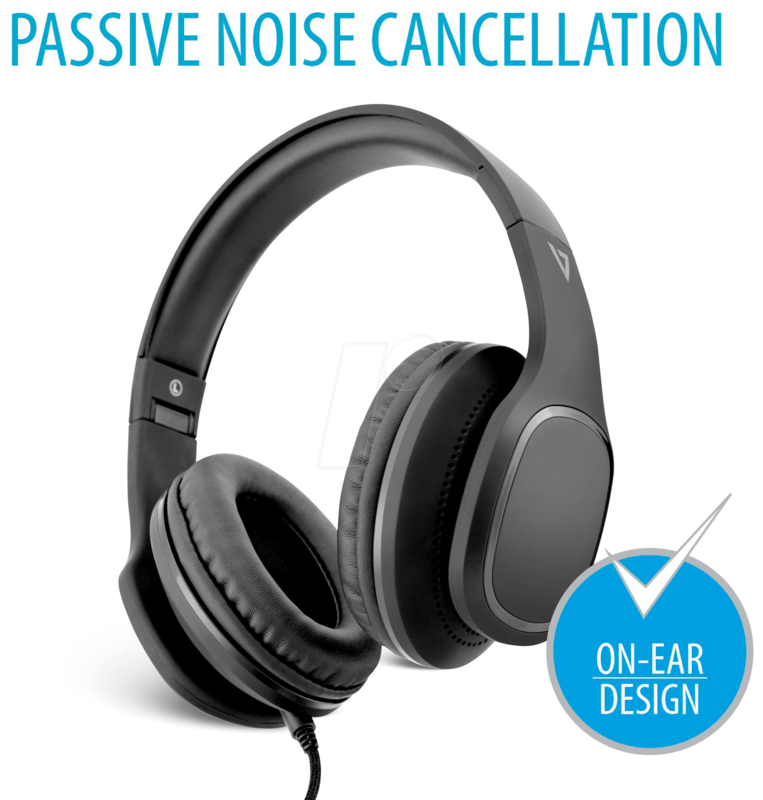 Passive noise suppression with over-ear design lets you hide the environment and focus on the music. 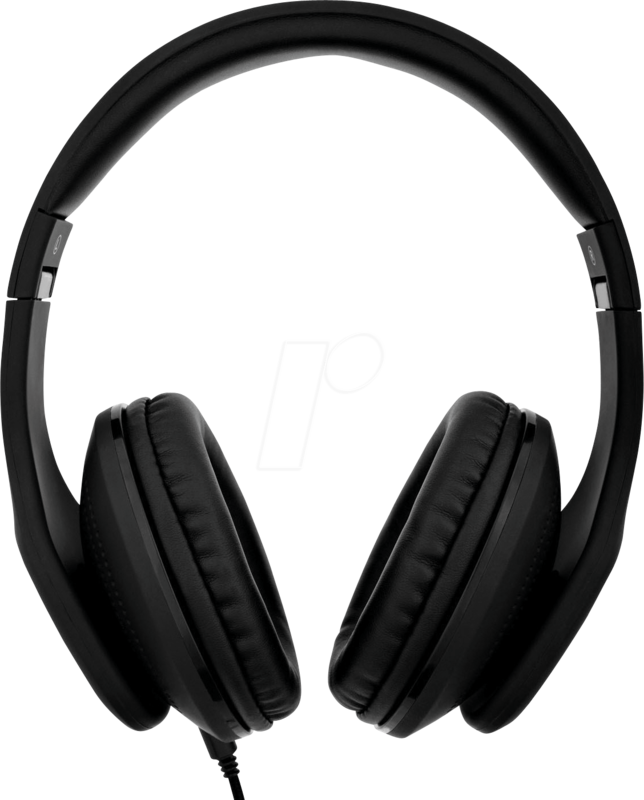 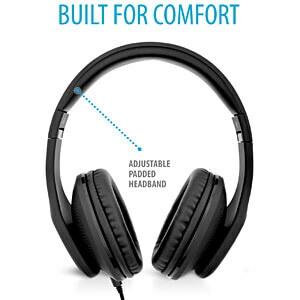 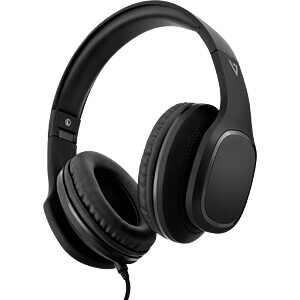 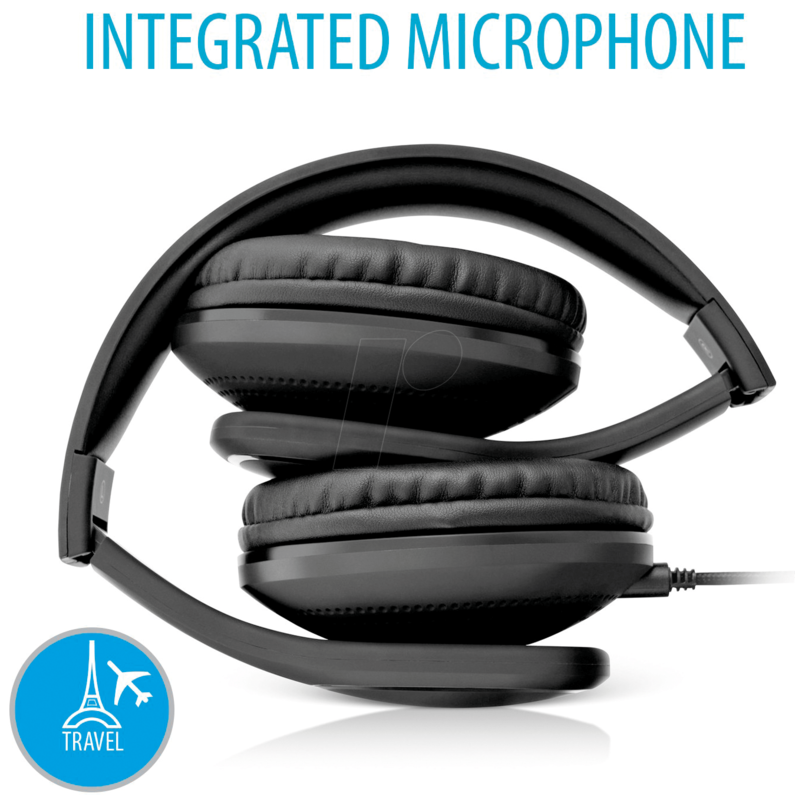 The headphones feature a flexible braided cable and integrated call/volume control for easy and quick operation. 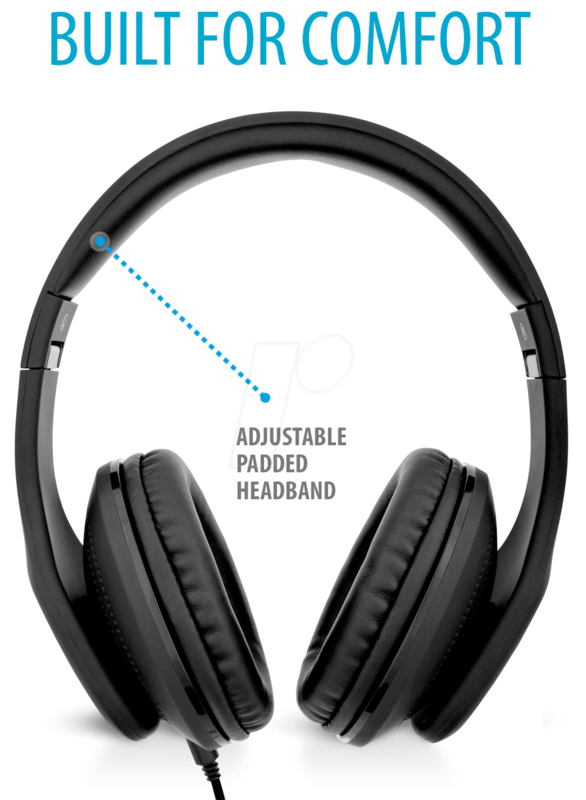 With retractable ear cushions, these headphones are perfect for on the go. 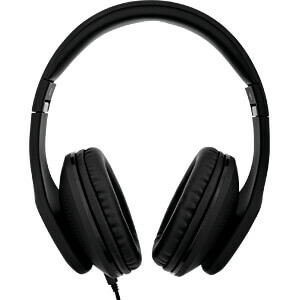 foldable - your headphones are always with you: just fold them in, roll up the cable and you're done!